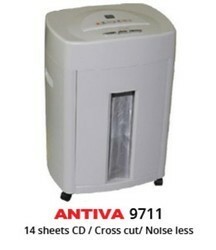 Leading Distributor / Channel Partner of antiva 9830 paper shredder, antiva 9810 paper shredders, antiva cc-540 cd paper shredders, antiva ps 403 paper shredders, heavy duty paper shredders and desk side office shredders from New Delhi. 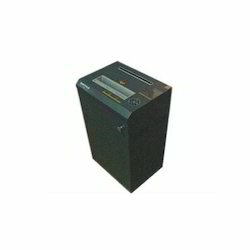 We are an acclaimed entity, engaged in offering a wide range of Antiva 9830 Paper Shredder. 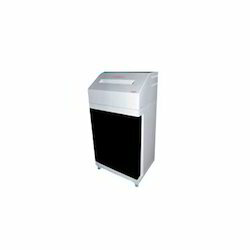 Our organization has successfully expanded its business in market owing to the offered elevated quality array of Antiva 9810 Paper Shredders. Facilitated by technically advanced process, we are presenting a distinguished collection of Antiva CC-540 CD Paper Shredders. 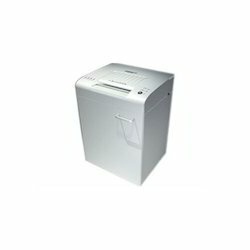 With sincere intentions to preserve and uplift our reputation in the market, we bring forth a distinguished assortment of Antiva PS 403 Paper Shredders. Looking for Paper Shredders ?